What exactly is decorative painting anyway? Decorative painting also known as Faux painting or faux finishing an age old art, literally 1000s of years old is the art of reproducing/simulating organic materials such as wood , marble and stone by use of paint, plaster, inks and clay. Sometimes an elaborate foray of techniques, Faux painting is often several layers, or applications of thin layers of paint applied to achieve a lustrous effect that captures the human heart and eye. From indigenous cave dwellers, Egyptian tombs, Greek pottery or Roman palaces, faux painting has been used to depict any given culture’ s history, story telling, or simply to beautify a living space. 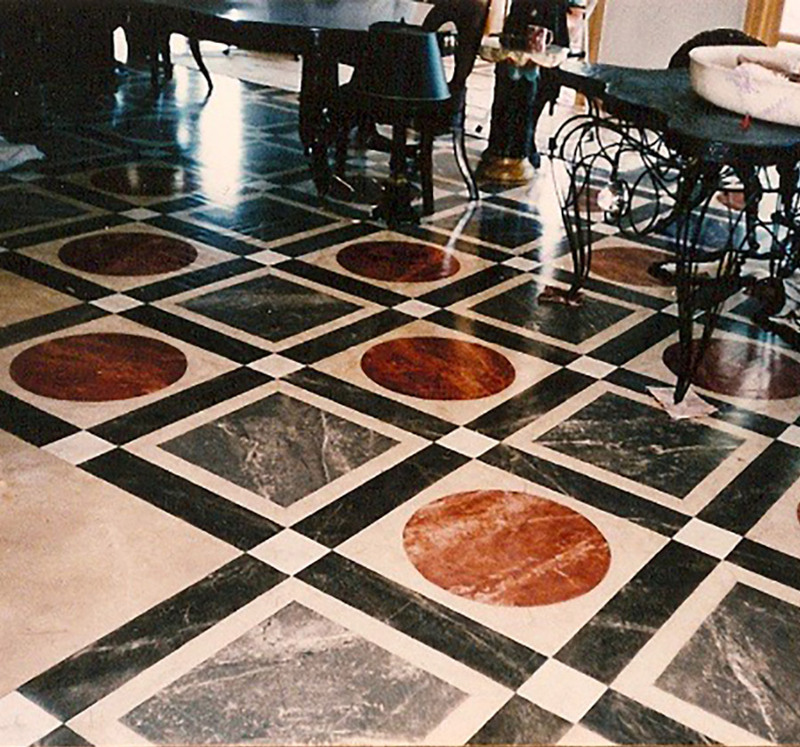 Floors, walls ceilings, pottery and furniture have been a common surface for this artistic endeavor. 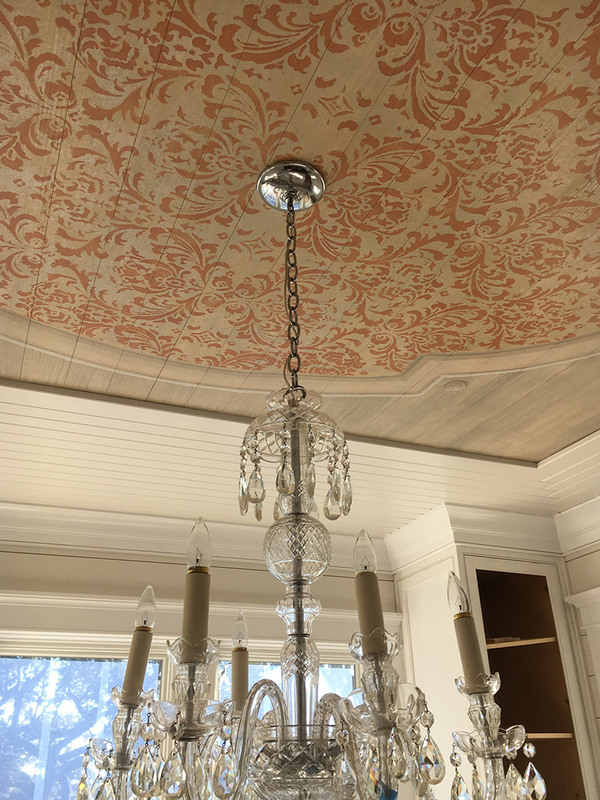 A resurgence in the 18th, 19th, and 20th centuries have afforded many artisans a healthy career as well as many satisfied dignitaries, churches, homeowners and public spaces the beautiful art of Faux painting. With the emergence of new materials, solvents, varnishes, and other trade implements these decorative painters are pushing the boundaries and exploring new techniques with stunning results as they stand on the shoulders of the foundation laid by previous masters of this art form. Michael Gilbert began his career in the early 1980s in Manhattan, New York apprenticing the late renowned muralist Robert Jackson as well as to this day his friend and Mentor, Franklin Tartaglione. During these early years Michael had been introduced to a wide variety of faux finishes ranging from faux bois , faux marble, Trompe l’oeil, hand painted cloud ceilings, intricate hand painted floor motifs and even had the opportunity to hand paint a plaster fresco ceiling in the Metropolitan Museum of Art. Michael had the great fortune not only being trained and working with Robert Jackson but also to be under the direction of world class decorators such as Mario Buatta, Bunny Williams, Mark Hampton, John Saladino, Keith Irvine, David Whitcomb, Scott Salvator and Daniel Dempsey. Michael Gilbert began his career in the early 1980s in Manhattan , New York apprenticing the Late renowned muralist Robert Jackson. During these early years Michael had been introduced to a wide variety of faux finishes ranging from faux bois , faux marble, troupe l’eoill ,hand painted cloud ceilings, intricate hand painted floor motifs and even had the opportunity to hand paint a plaster fresco ceiling in the Metropolitan Museum of Art.